Here in the Philippines, we grew up in a community where personal finance is not a famous topic. In school and at home, we rarely talk and take time discussing topics about personal finance. There could probably be more reasons behind it but whatever it is, the important truth is we need to do something about it. We need to realize that properly managing and handling our personal finances is the first step that can lead us to financial freedom. It will give us opportunity to control the direction of our life financially and can lead us to achieving our financial goals. Money is not the root of evil. The misuse of money is. We need to make sure we know the difference. In almost every areas of our lives, money is related. We need to have money to send our children to school, to buy foods and clothes, to buy medicines, to pay our bills and many other things. As long as we live, we can’t deny the fact that we need money. I’m not saying that we cannot live without money, definitely we can! But the ugly truth is we need money in order to live comfortably and to provide better future for our family. We’re living in a 3rd world country where in the condition of economy is far from developed countries like U.S, Japan and others. Aside from that, many of the Filipinos are not aware of properly managing their finances. Most of us have the mentality of ‘1 day millionaire’. This is the funny truth. I knew a lot of people who earn a lot but do not have savings. They don’t even know the meaning of emergency fund. We can see a lot of families spending loaned money on occasions like birthdays and binyag but doesn’t having savings or emergency fund. Others are spending on latest gadgets and fashions but don’t have money for personal finance books or attending seminars. Yay. I’m not saying this is wrong, if we really can afford it why not? We deserve comfort in life from our hardwork but we need to make sure we also prioritize those important things like savings and emergency fund. When I realized the importance of properly managing my finances, I immediately took action. I read books, blogs and magazines. I attended some seminars. I watched videos online and listen on some audio/podcast. This is the best way to start. Each simple step if committed long term will definitely give us awesome rewards in the future. We should start in investing in our self first. This is the best investment that could give us more than 1000% return than any other investment vehicle available. Although a newbie and just starting out, I can say that I’m on my way. I’m continue learning and applying those lessons in my life. I’m positive that in the future, I can achieve all my financial goals and be financially free. I can see a brighter future for me with my family. 5 Reasons why you need to take charge of your personal finance. 1. Your future depends on your actions today. If you want to have a better future like many of us, you need to do something in your life today. Maybe you want to send your children to a good school. Maybe you want to start a business someday or you want to buy your dream house. Perhaps you want to travel abroad or buy your dream car. All of these goals and dreams are related on your actions today. If you start taking charge of your personal finances, more likely you’ll have those goals achieve earlier than you expected. You need to invest in yourself. 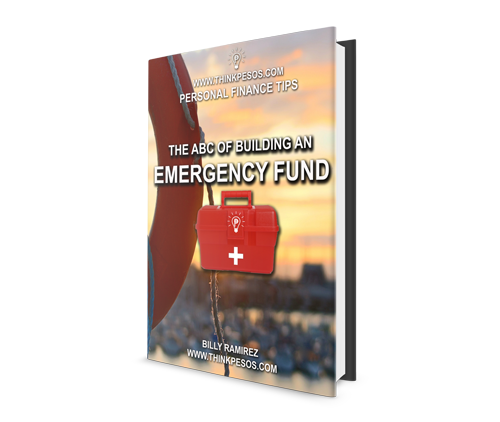 You also need to learn how to budget and build your emergency fund. But on the other hand, if you keep neglecting to properly manage your finances, you might end up nothing in the future. The best way to see the future is to create it. And the only way to create it is to take actions today. Delaying to manage your personal finance could costing you freedom in the future. Remember that each little step we take right now could give us bigger results over time. It is better to start early than to start later. Have you heard the power of compounding? A little money saved over long period of time could result to bigger savings. That’s the power of compounding! Even if you manage to save a little amount today, in the long run that little savings could give you opportunity to grow your money or start a business or whatever your financial goal is. Remember that time is your alley. The earlier you start managing your personal finance, the earlier you can achieve your financial goals. When I started taking charge of my personal finance, I discovered more ways to save money. From making a list before going to groceries to using prepaid load on my cellphone. That saves a lot! I even list my everyday expenses. That’s how serious I am. It save a little but in time it can contribute big to your finances. It comes naturally and some are from books and articles I read online. You’ll be aware of how you spend money and in return you’ll end up saving more because you are wisely spending your hard earned money. And because you are serious of how to save more, more likely you’ll find more ways to earn more. Either from side income or investments a door of opportunities will more likely come your way. If you seriously take charge of your personal finance, of course there is no way that you cannot achieve your financial goals. Even if you just take small steps today like reading books or watching personal finance related videos online, those could serve as the stepping stone in achieving your financial goals. Just take one small step at a time. If every Filipino will be financially literate, I’m pretty sure this will contribute to the progress of our economy. 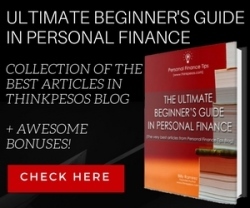 This is main goal of this blog, to share basic personal finance to every Filipino. Imagine more Filipinos are building businesses and investments, that will give more opportunities for other Filipinos to earn more. While earning more, since they are financially literate they know how to properly handle their money and where should it goes. Taking charge of our personal finance could give us more benefit. Not only to our selves but to our country. If we really want to change our life and achieve financial freedom, we should seriously take charge of our personal finances.